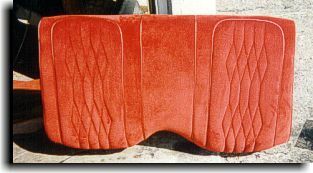 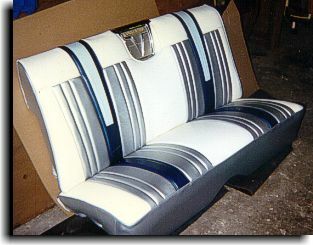 Below is photos of some of the custom upholstery done by Catalina Custom. 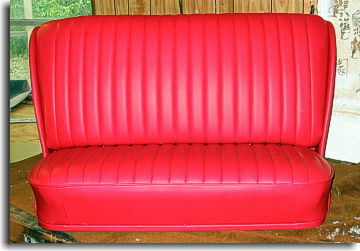 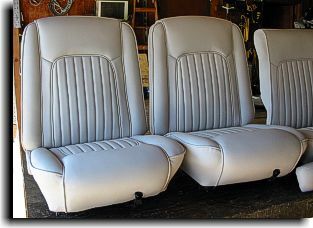 This set of seats is out of a 1967 Mercury Cougar owned by Mr. Dennis Lester of Land O Lakes, FL. 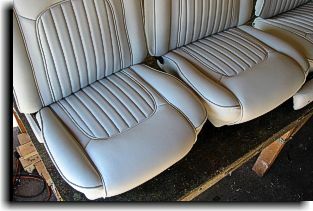 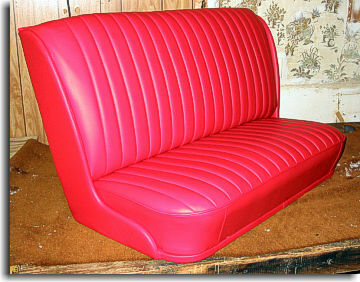 These seats were resewn in the original sewing design using an off-white Ultra Leather HP polyurethane for the material. 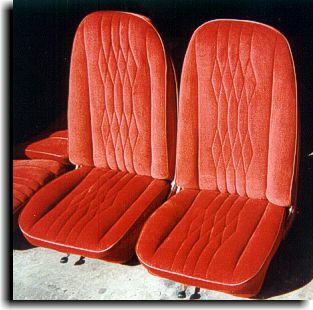 This set of seats is out of a 1962 Pontiac Gran Prix. 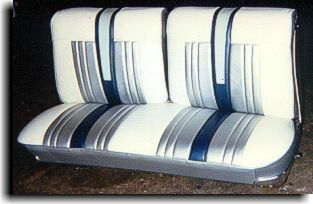 The two-toned blue middles are the original stenciled middles of the seats that were used again for originality. 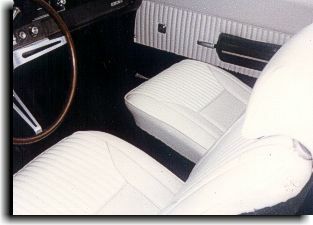 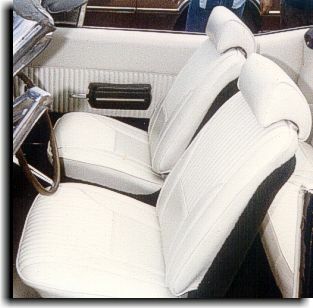 The seats were sewn back in the original design using new silver and white leather for the facings with a silver vinyl for the trim. 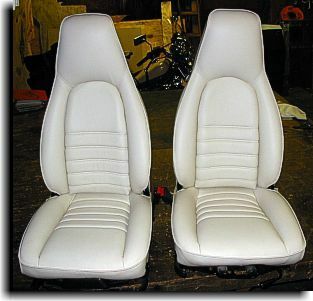 These seats out of an Acura NSX were originally all one color (beige). 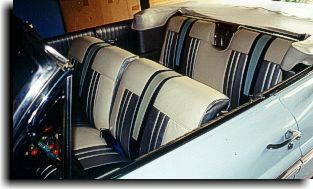 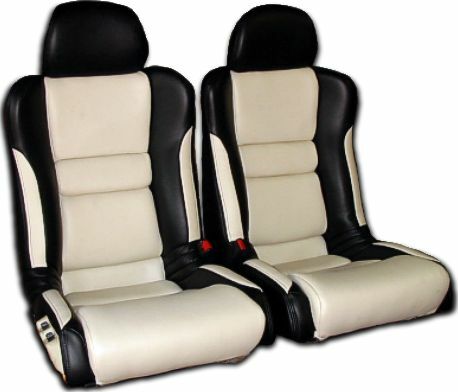 Catalina Custom redesigned the seats by adding off-set colored beige panels on the face of the black side bolsters. 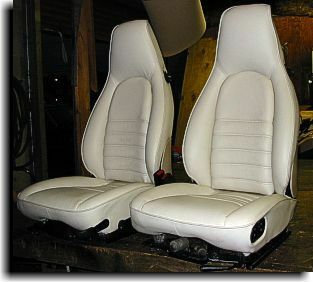 UltraLeather HP was used for the upholstery project that made these NSX seats very nice looking and very comfortable to sit in. 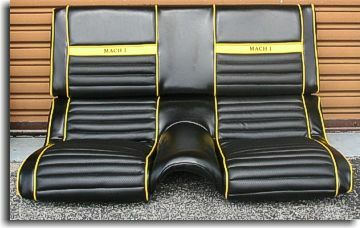 These seats, for a custom 1969 Mustang Mach I, were done for Mr. Tim Moye of Tampa, FL. 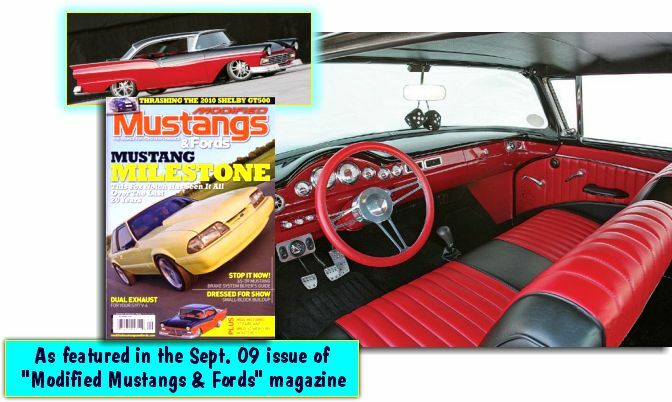 Mr. Moye was having his Mustang painted a nice, rich yellow. 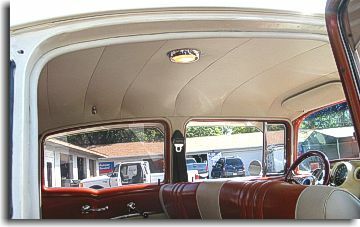 Catalina Custom was able to provide a yellow vinyl that came very close to the paint color. 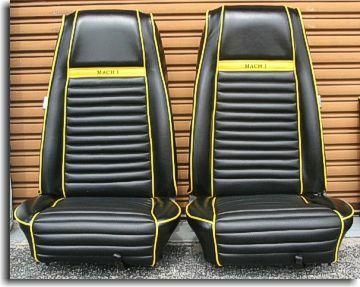 With Mach I embroidered in the custom yellow accent stripe, yellow piping and simulated perforated black vinyl for the inserts sewn in original design, these seats are some of the nicest seats done for a custom car by Catalina Custom. 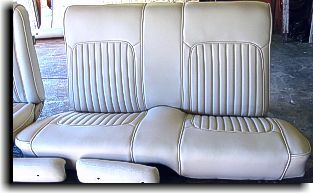 The seats below are part of a complete interior for a 1972 Oldsmobile 442. 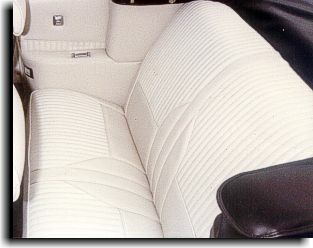 Original sewing design was duplicated in the seating design using a nice white vinyl. 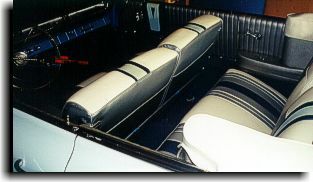 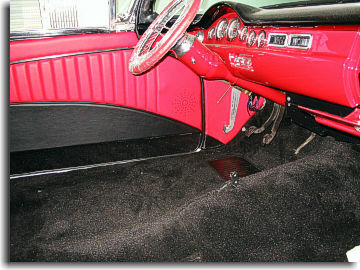 The plastic shells that trim the seats were covered in carpet with custom pockets built on the backs of the front backrest. 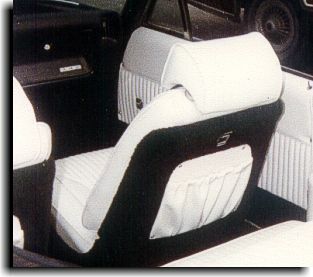 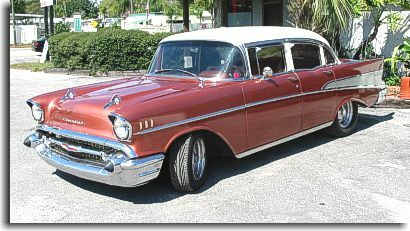 The seats below are part of a complete interior for a 1957 Chevrolet . 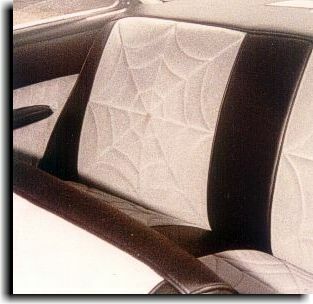 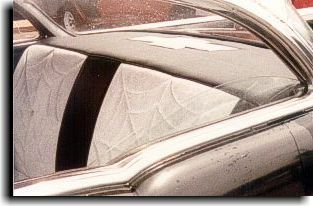 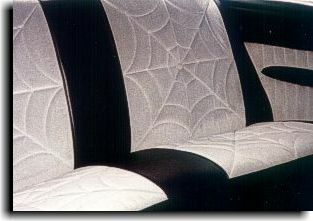 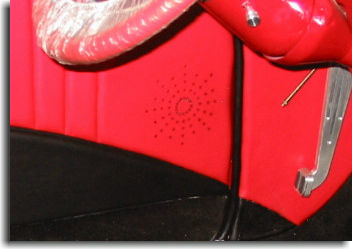 Using a silver velour trimmed in a black vinyl, Catalina Custom sewed a spider web design for the inserts of the seats. 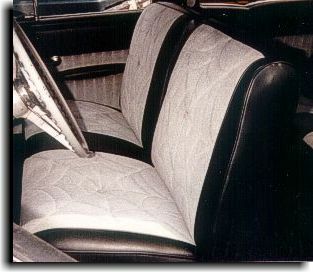 A silver velour Chevrolet logo was also sewn into the package tray behind the rear seat backrest.